For many people, the term aerial drone conjures images of cool videos they’ve seen online or promises of speedy delivery of Amazon Echo Dots and other consumer goods. Yet innovators ranging from civil engineers to students still in their teens have been experimenting with intriguing new ideas for how these unmanned aerial vehicles could solve real-world problems. Here are five Redshift stories about aerial drone development that point toward the future of construction, art, and disaster response. While scientists have begun to unlock the secrets of how thousands of starlings can whirl and dive as one, SPAXELS have already written the book on how to program a flock of drones to light up the night sky. A product of Austrian art/science/technology organization Ars Electronica, SPAXELS are customized aerial drones equipped with LEDs and programmed to form words, moving images, and dazzling abstract shapes that will give any fireworks show a run for its money. 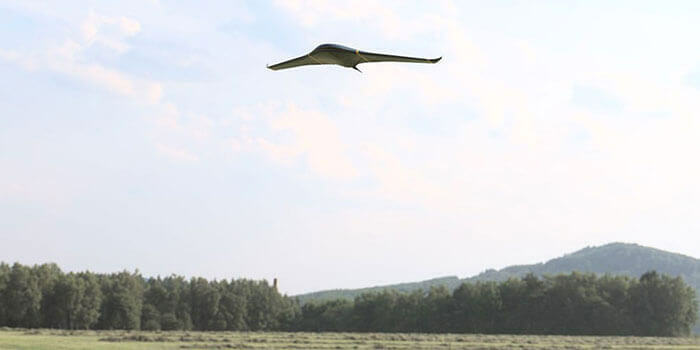 The student UAV in flight. Courtesy University of Warwick. In the future, stranded mountaineers and wayward backcountry skiers might look to the sky for help—that’s if the vision of students at the UK’s prestigious Warwick School of Engineering comes to pass. As part of Warwick’s Horizon (AM) program, those students have leveraged additive-manufacturing techniques to fabricate a carbon-fiber flying wing that could deliver critical emergency supplies such as blankets, food, and medicine (no word on brandy, however). On the other side of the globe, Yuki Ogasawara and Ryo Kumeda of Team ROK have developed their own life-saving drone: The X Vein is a multicopter design inspired by the Great East Japan earthquake and tsunami of 2011, which devastated the country while Ogasawara and Kumeda were still teenagers. The X VEIN’s dragonfly-esque wings may look delicate, but the aerial drone’s sturdy frame and ability to fly for long periods make it an ideal tool for natural disasters and search-and-rescue missions. Get a closer look at the X VEIN design. 4. Agile Product Development: Can Manufacturing Draw Inspiration From Tech? Could agile product development have made the Amazon Prime Air Project more effective? 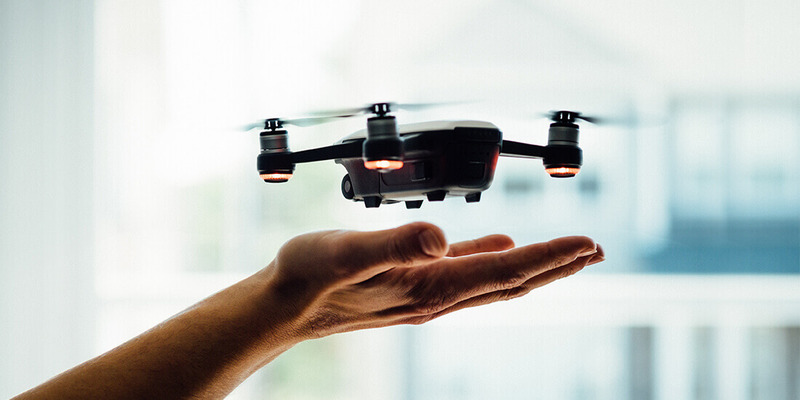 While traditionally thought of as a means of developing software, the agile method might have helped the delivery drone project team avoid miscalculations about structure and construction, as well as respond more quickly to changing product requirements. The traditional surveyor armed with a total station will soon be a thing of the past—instead, construction companies and civil engineers will use drones to create highly accurate 3D mesh models of earthworks and building sites. That remote surveying will translate into better workflows and help construction companies identify high-traffic areas, crane clearances, and more—all while saving valuable time.